The ugliest cars of all times aren’t always the worst ones to drive but they’re the cars that no one has pictures of on their bedroom walls. The first on our list is a long forgotten mess from 1958. This one was ugly even when it came out all that time ago. Can you imagine how Henry Ford’s son must have felt when his father proudly exclaimed that he’d named this fishtailed monstrosity after him? Millions of dollars were spent developing the thing but it was very poorly received and by 1961 the Edsel division was no more. Oh dear this one is a people carrier from the American brand that came to represent fast cars nearly as well as Corvette. This minivan was well received as a concept car but when it hit production it didn’t retain the styling that had made it a media darling at motor shows. The nickname “Dustbuster” gives you an idea what this one looked like and just how disrespected it became in the marketplace. This is one Aston Martin that agent 007 would not have got into. You can see just how ugly this one is as it’s our lead image. 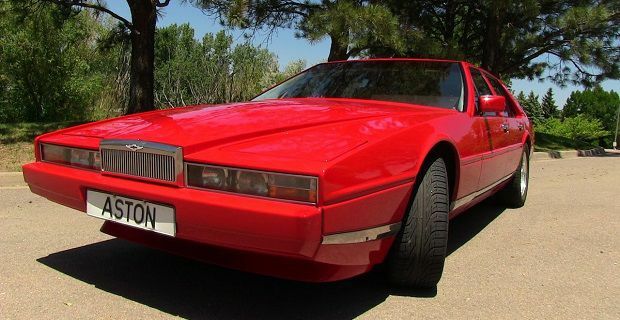 Sophistication and class we left on the production line and the British luxury brand made a right turkey that was probably designed to try and modernise the brand in the wake of wedge-shaped supercars. What a mistake. We end our motoring freak show with something that truly should be beautiful – a Ferrari. This is one only Enzo could love. The 1980 Ferrari Mondial was a waste of metal, time, effort and design. It looks like something a rival of the great Italian marque would make when trying to emulate their success.